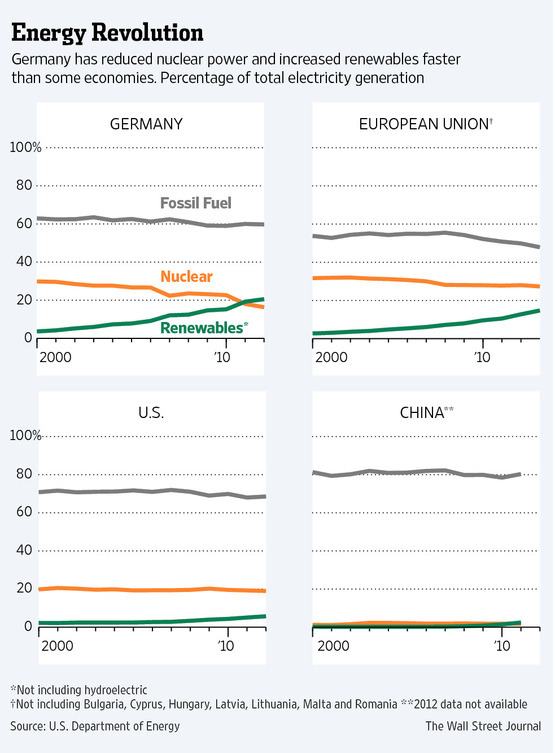 Since the 1970’s Germany has tried to be a leader in the global energy transition. With an economy that is ranked fifth in the world and with one of the largest populations in the world, becoming a leader does not seem that hard. In 2010 the German government published a document that outlined the main components of Energiewende(energy transition). The document stated, “ by 2025, Germany aims to produce 40%-45% of its electricity from renewable sources, rising to at least 80% by 2050.” The government hopes to achieve these goals by reducing the number of fossil fuels, transitioning energy usage to renewable energy such as wind and solar. Since the beginning of the project Germany has succeeded thus far in achieving its goals. However since 2011, when the German government passed the bill for Energiewende to begin, more and more local and international companies have casted their doubts on the project. The major concern for many of the local and international companies is the rising costs in energy. The locals fear that Germany will lose its competitiveness as one of the leading economic countries. The projects itself would cost about $1.4 trillion which is almost half of Germany’s GDP. Internationally the fear is that the cost of energy is too much and money will be lost. What have international companies done to express their concerns? What does the government promise to do? Many international companies and a few local companies have reduced their investments in Germany because of the high energy costs. BASF which has one of its main plants located in Germany has decided to cut investments to just 1/4th of its 20 billion euros global investment over the course of the next five years. This is a significant reduction because BASF used to invest ⅓ of its global investments in its German plant. Now BASF is going to invest the extra money in its Asian and American plants. Local company SGL Carbon decided to invest $200 million to its plant in Washington instead of investing the usual $100 million in its home base in Germany. Thus far, the only international companies that have benefited are those who install devices that create renewable energy. Although there are many concerns the federal government of Germany has continued to push the project due to its numerous benefits. The government claims the country will be a leader in green technology and that in the future the economy will reap in the benefits of renewable energy. The government also claims that the energy costs will decrease as soon as the renewable infrastructure is complete. I wonder though if the government is thinking of the now. How does the government not realize that it’s spending most of its money on energy. Does the government not realize that many people are going to lose jobs? 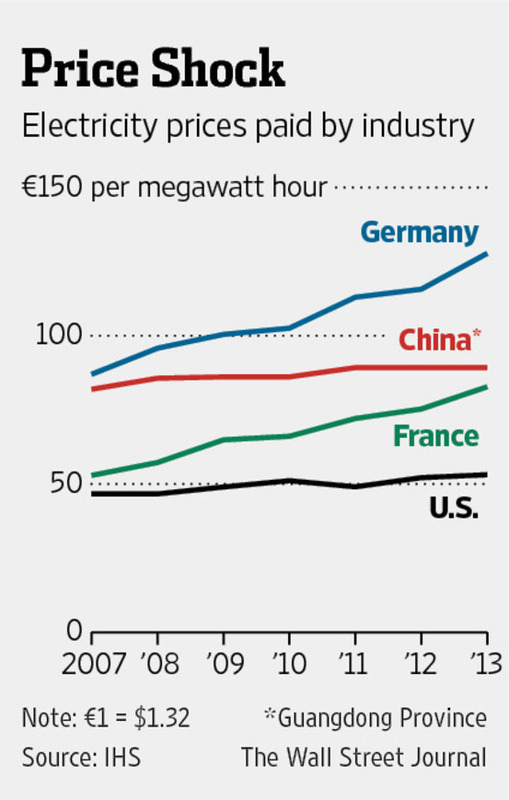 How much money Germany is spending in Euro’s on energy. So I ask, What should Germany do? Should America follow Germany’s movement?